Clarks Courtyard is an imaginative development of offices created for those who want their premises to project an interesting image of their business. 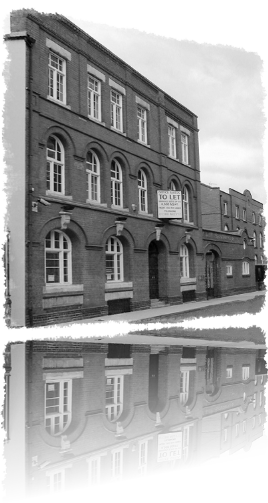 This lovely Victorian building now provides 12 individual studios ranging from 500 to 2,150 sq ft. These are all arranged around the attractive courtyard which is accessed through decorative iron gates from Granville Street. The Courtyard area has been landscaped to provide a relaxing feature for both occupiers and visitors. Ideally situated in the recently transformed area between Broad Street and the Bull Ring. Convenient for canal-side restaurants with escalators to shopping centre and New Street Station. Right by the The Cube, Birmingham's most stylish shopping and lifestyle destination. Just 1 minutes walk from The Mailbox development with its landmark shopping facilities. 5 minutes walk from the nearest train station.